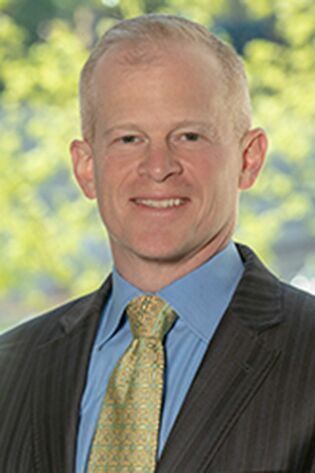 Andy joined Laner Muchin in 1996 as an associate and has been a partner at the Firm since 2002. Andy spends a majority of his time negotiating collective bargaining agreements, representing clients in arbitrations, responding to union grievances and in matters before the National Labor Relations Board in almost every industry and for clients of all sizes. In addition, Andy advises clients on how to navigate state, local and federal employment laws. He helps clients develop strategies on resolving complex employee relations issues in matters such as reasonable accommodations under the nation’s various disability laws, compliance with the nation’s various sick day and leave laws and hiring strategies in light of the many laws governing what information an employer may consider. Andy also helps draft executive employment agreements, non-compete and confidentiality agreements, severance agreements, arbitration and other employment-related agreements. The Law Bulletin Publishing Company selected Andy as one of Illinois’ Top 40 Attorneys Under the age of 40 in 2009, citing his accomplishments as an attorney and, in particular, his commitment to client service. Andy is a prolific author of employment related articles and sections in treatises. Defending employers in arbitrations of various disputes in both the union and non-union setting. Providing employment-related advice to clients involved in acquiring other entities, including negotiating and preparing employment contracts for incoming executives, advising on non-compete issues, reviewing purchase documents to ensure employment-related provisions to adequately protect clients' investment and business goals, ensuring that due diligence on employment-related issues is sufficiently thorough, among other related services. Providing ongoing employment counseling advice to a variety of clients, including those in the private equity, investment management, professional services, hospitality (restaurants and hotels), manufacturing and distribution and other industries. Such advice includes, but is not limited to, advising clients on terminations/workouts of high-level executive departures, prevention of unfair competition, and regulatory compliance.